Personally, I have always tried to be active and through good fortune have a fast metabolism. But, in saying that I’ve tried to be conscious of my eating habits and ways to improve them. Not just for weight maintenance but to optimise body function, performance and longevity of health. Plus weight does not always determine overall health. Just because a person isn’t overweight, doesn’t mean they’re not nutrient deprived on the inside (also known as skinny fat). The biggest change for me was when I was competing in martial arts and had to make a certain weight for competition. I also needed to be conscious of what foods I was fuelling my body with in order to have enough energy and recovery for the gruelling workouts that I endured. A lot of people like to count calories but for me that would just do my head in. So rather than count calories I just make sure I eat clean and healthy. That is not to say to I don’t have the naughty meal here and there just as long as the majority of my food intake is healthy. Plus with my current eating habits, there isn’t anything I don’t like or don’t look forward too. I try and base my eating habits on consuming nutrient dense foods and breaking it down back to the basics. For example eating clean organic whole foods, consuming lean proteins, low GI carbohydrates, good fats and a mix of fruit and vegies. I cut out sugars (except the occasional bowl of ice-cream), processed and genetically modified foods. I also avoid all products that say “diet” this or “low fat” that because they are often filled with nasty artificial sweeteners and processed chemicals harmful to your body. A good rule of thumb is if you can pull it from the ground or a tree or hunt it naturally then generally speaking it’s going to be good for you! I have only documented food consumption, but I normally have about 3-6 litres of filtered water a day depending on climate, exercise and perspiration. I will drink water when I get up, followed by breakfast and only have coffee after that. All fruit and Veg is predominately organic that my wife and I buy weekly from the local food markets each Sunday or pull from our home vegie patches. When seasoning, I use cracked black pepper and Himalayan pink rock salt. Salad dressing is extra virgin olive oil and balsamic vinegar. There are a lot of other foods and meals that I like to cycle through my diet but here is my one week food diary from last week. Snack Smoothie – Ice, kale, beetroot, carrot, ginger, watermelon, pineapple, passion fruit, mint and coconut oil. Smoothie – Ice, kale, beetroot, carrot, ginger, orange, pineapple, passion fruit, mint coconut oil. Supreme Pizza Pork cutlet, steamed broccoli, corn, carrot. + 1 glass of red wine. It’s very surprising how documenting a food diary can make you accountable for the food you consume. It’s also a good way of finding deficiencies in your diet. 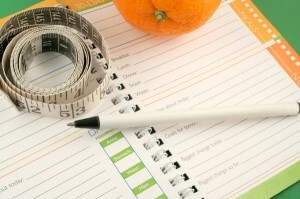 When looking back at your food diary, you’ll be able to look at making healthier food choices in the future. Try making one this week and remember to keep it honest and review. Good luck! !